“Environmentalism is dead. Today we bear witness to 21st century anthropocentrism. The goal is no longer to protect nature and all living things. In stark contrast, the goal is to now propel technology at the expense of nature and all living things. A “clean energy revolution”, at the expense of what little remains of nature and non-human life, for the gratification of human desires. In this sense western societies have collectively devolved to the most contemptible depths imaginable. Yet, as a conditioned society, few notice. As always, youth are targeted and groomed, the sacrificial lambs for continued capitalism…. 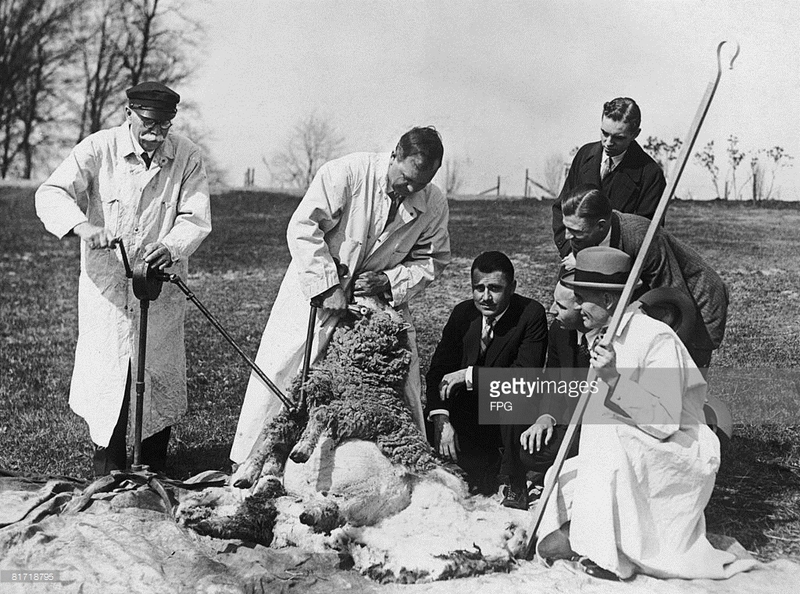 A trial of the new automatic sheep shearing machine at the government’s agricultural experimenting station at Beltsville, Maryland, circa 1927. Getty Images. When in Ireland, I witnessed a sheep farmer and his Border Collies herding sheep into an enclosure. 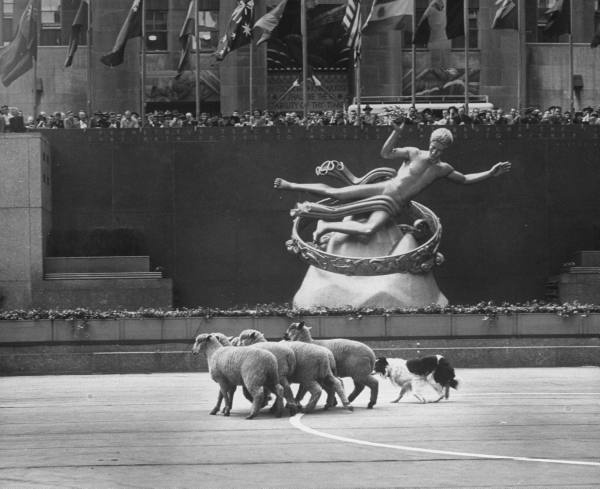 Using whistle commands, the farmer instructed the Collies on which way to turn the sheep, when to bunch them, and when to move them into the pen. I was reminded of this witnessing the Break Free ‘fossil-free’ campaign events, May 14-16. Assuming the role of the sheep farmer, 350 (led by Bill McKibben) blew the whistle commands, while Break Free organizers barked at environmental activists (the sheep)–herding them into protest encampments at oil refineries. It was astonishing to witness such precision in action. Of course, this entertaining choreography would never have taken place without the enticement of a payoff for McKibben and his herders from the ‘wool merchants’, i.e. Warren Buffett, Bill Gates, and the Rockefeller Brothers. Now, all that remains is the sheep shearing by on-the-take politicians–the wool taking the form of U.S. Treasury funds for nuclear-powered electrical generating stations, along with large scale solar and wind turbine farms, using highly toxic chemicals from the oil industry in their manufacture. Now that’s an efficient, vertically-integrated operation.